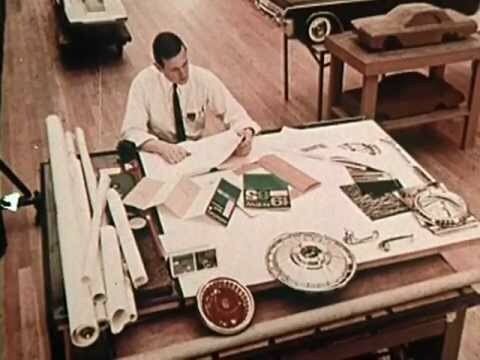 The deadline for this new car was April 1964 for the World’s Fair in New York, an audacious occasion to showcase a new car since this was not standard practice. Many designs were proposed but the model created by David Ash called the Cougar was accepted as the one to go ahead with and when Henry Ford Jr. sat in the prototype he said “It’s a little tight in the back seat. Add another inch for leg room.” This meant major cost over runs but Iacocca knew that what Henry Ford II said got done. Another contribution from Ford was that the proposed Torino name had to be scrapped since Ford was jet-setting with a new divorcee from Italy. So Mustang was choosen because the horse bread is very American and is also the name of the US Fighter Planes of World War II. The Mustang was for white-collar stylish and blue-collar workers. It was a symbol of status and prestige. The original Mustang cost $2,368 without accessories. The response was unexpectedly positive from Ford’s perspective having planned only 85,000 cars under Arjay Miller’s leadership. Miller was also concerned about cannibalization since the Falcon was also in the same price range. They promoted the Mustang full tilt with Mustang’s for kids sunglasses, key chains and hats. The Mustang advertisements were highly effective in building excitement. The success of the Mustang ultimately does not lie in the marketing but in the quality of the product itself according to Iacocca. The press also played an important role in promoting the story of Mustang. Newspapers reported about the Mustang voluntarily and the hype was an insatiable news story. In one case, a man driving a cement truck was so taken with the Mustang on display in a Ford dealership that he crashed into the show room. Customers were bidding at the highest price to get a Mustang in advance of regular sales. In order to guestimate the car’s production volume, Frank Zimmerman put Mustang’s in Dayton, Ohio a “GM town” to see if it would pick up sales. The share of the Dayton market for Ford grew to 10%.